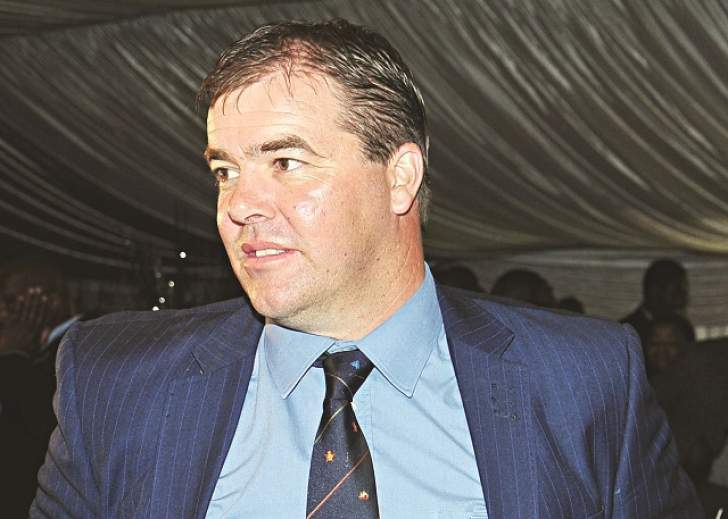 FORMER national cricket team coach Heath Streak has challenged his dismissal from his job after his legal representatives wrote to Zimbabwe Cricket (ZC) yesterday, describing the "legality" of its actions leading up to the firing of the cricket coach as "beyond blatant". Streak, who was fired last Friday in the wake of Zimbabwe's failure to qualify for the 2019 Cricket World Cup, alleged that he learned of his fate through WhatsApp messages from ZC managing director Faisal Hasnain. The former Zimbabwe captain together, with batting coach Lance Klusener and fitness trainer Sean Bell, have since sought legal advice, challenging their dismissal, which has sparked outrage from the local cricket community and beyond. Prominent Harare lawyer Gerald Mlotshwa, the senior partner at Titan Law, yesterday wrote to Hasnain, saying the manner in which ZC had "dismissed" his clients meant they remained employees of the local cricket governing body "on fixed-term contracts until their agreements are terminated in terms of the labour laws of Zimbabwe". In the letter in possession of NewsDay Sport, Mlothswa also attached the correspondence between Streak and Hasnain, which the former alleged was sent to him in the form of WhatsApp messages. "Leaving aside the distressing informality of the correspondence above, and the inference to be drawn therefrom with regards the manner in which Zimbabwean Cricket is being administered from a national level, it is beyond logical dispute, you will no doubt agree, that the purported 'dismissals' or any attempt at corrective action taken thereafter, in the form of 'official communication' is of no force and effect whatsoever," Mhlotswa wrote in the letter, which was also copied to the Sports and Recreation Commission acting director-general Joseph Muchechetere. "The legality of Zimbabwe Cricket's actions are beyond blatant. For the avoidance of doubt, our clients remain employees of ZC, on fixed-term contracts until their agreements are terminated in terms of the labour laws of Zimbabwe. "It is also open to the parties to agree on mutual consent on termination of the same, or for ZC to simply wait for the said fixed contracts to run their term," he said. Mlotshwa argued that ZC did not follow due process before reaching the conclusion to fire the trio, including Streak, who still has seven months remaining on his contract. Streak last week expressed shock and disappointment at ZC's decision to unceremoniously fire him as Zimbabwe's coach, saying he together with his technical team were not given any audience or hearing to explain themselves or hear the association's concerns despite Zimbabwe Cricket chairman [Tavengwa Mukuhlani] publicly stating so. "Either, way and in the absence of properly instituted and constituted disciplinary action in respect of each of our clients, simple and inexpensive legal advice, again obtained on your part will confirm that Zimbabwe Cricket is certainly obliged to meet all amounts due and payable to our clients in terms of their employment contracts," Streak's lawyer said. "Negated from this clearly flawed decision-making process must be any hint of emotion and insistence, in the alternative, on due process of the law. There is nothing resembling minimal compliance with procedural and natural law in respect of the manner in which ZC has gone about this now very public attempt at 'dismissing' our clients." ZC have been given up to today to admit they had erred, failure of which legal proceedings will begin. "In the circumstances, we await your written confirmation that the purported dismissals are of no force and effect by close of business, this April 6, 2018. Should such obvious admission not be forthcoming, we have the fullest of our clients' instructions to institute all and necessary legal action against Zimbabwe Cricket and its board in respect of this most unlawful and deplorable actions."